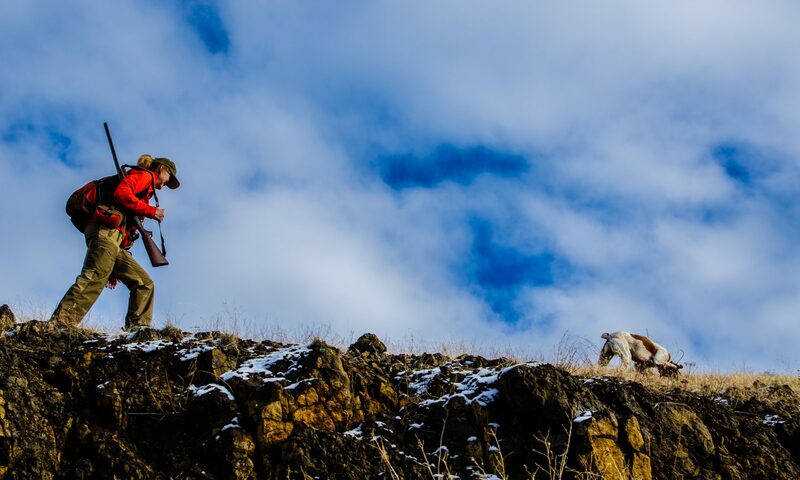 Chukar Culture: Ground sluice ‘em? I think it’s awesome. This guy isn’t doing anything easy. You ever try to tele ski? With guns? Biathlon training at its finest. Yeah, Larry, it’s too badass for me. I tele ski, but wouldn’t want to do it with a gun. Me either Bob! I hope you’re enjoying your winter break! I wish it was my winter break already, Larry. Another week. Arg. Snow’s dusting the hills here and it’s PRIME conditions now. I won’t be able to get out again until after Christmas. Are you off work (what do you do?)? I don’t want to rub it in but we got a good dusting here this weekend and it was PRIME. Birds are getting fat after that near monsoon a few weeks ago. That football chukar on my “Friday” post had so much fat I had to sheer it off. I’m not off work but we’re in a transition state to the next season right now so I get out a bit more than usual. I work for a ski company in Reno called Moment Skis. It’s a great job for an outdoor nut. We’re all pretty like minded and as long as you get your work done on time or early you can do whatever you want. I’m getting kinda spoiled. Good for you. Sounds like life should be. Are you hiring? Arg. I work in one of the most dangerous (and underpaid) occupations: public school teacher. Summers off are good, but it’s my least favorite season, as well as my dog’s. Next PostNext End of the world?